On the floor of the Senate this morning, Sen. Ted Cruz read aloud the text of Cicero’s First Oration Against Catiline, subbing in President Obama’s name in the context. “When, President Obama, do you mean to cease abusing our patience? How long is that madness of yours still to mock us? When is there to be an end to that unbridled audacity of yours swaggering about as it does now?” Cruz asked. 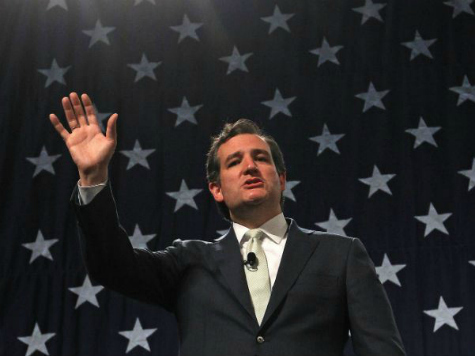 Cruz subbed in language about the I.R.S. in the speech, for “older instances” cited by Cicero against Catiline. “We alone, I say it openly, we the Senate are waiting in our duty to stop this lawless administration and its unconstitutional amnesty,” Cruz concluded.